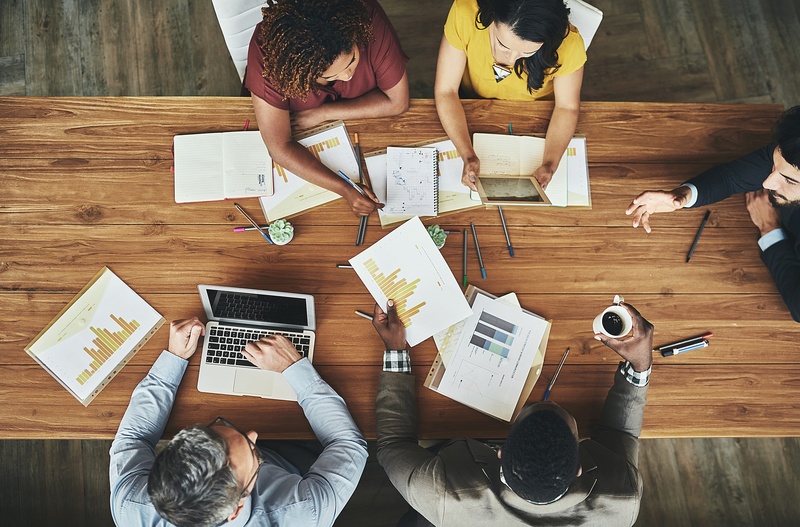 As a consumer finance company, you may very well sell the entire spectrum of financial products that a person might need from cradle to grave. The person who got their very first credit card from your company will someday need a home loan. Then a re-fi. Then a 529, a Roth IRA, a 401K, etc. and so on. But are you talking to them about these products at the right moments in time? Do you know what stage they’re in? Do you cross-sell? If you are, and you do, then you’re ahead of the curve. Consumer finance companies are famously organized into silos that behave as a distant acquaintance rather than enthusiastic collaborators. Loans are separate from credit cards which are separate from mortgages which are separate from....well, you get the idea. Everyone is fending for themselves and it’s unclear who “owns” the relationship with the customer. Part of the problem ties back to legacy IT systems that simply don’t talk to each other. But other reasons might be how the organization is incentivized, as well as the overall culture. Whatever the case, this translates to a sub-optimal customer experience, serious process inefficiencies, and a significant missed opportunity in sales. The missed sales opportunity is arguably the easiest thing to fix, and the most compelling. Going after new prospects is an expensive endeavor when compared to selling to an existing customer who is potentially already quite happy with your financial services company. Furthermore, the more products you get your customers into, the more loyal, and therefore valuable, they’ll be. Lastly, the financial relationship is already set up and ready to monetize. You just need to flip the switch. 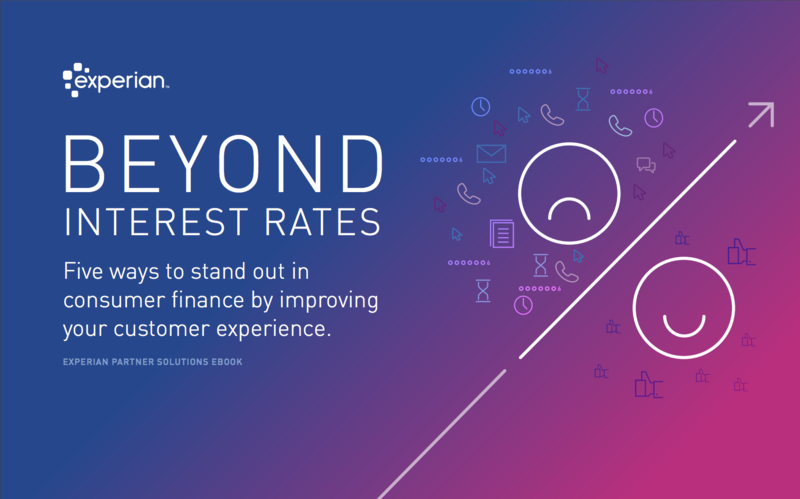 Get our free eBook "Beyond Interest Rates"
to learn 5 ways to differentiate customer experience in Consumer Finance. The first step is to take a more holistic approach to your customer data. That means making the customer’s data available to all parts of the organization so that every employee who works with a particular customer knows which of the company’s products they have, what their credit profile looks like, what the customer history looks like and which products make sense for that customer. Also, it certainly does help the relationship when the customer knows that their consumer finance company recognizes them, understands their needs, and knows the entire history of the company’s relationship with that customer. The next step is to recognize that each point of contact with a customer is a way to cross-sell and that if you don’t, someone else will. In the U.S. for instance, research from Bain & Co. found that 42 percent of bank customers who bought from a competitor bank (instead of their primary bank) said it was because they received an offer or saw an advertisement. Only 20 percent were actively researching when they decided to buy the product. Just as striking, more than half would have purchased from their primary bank had the bank made a similar offer.People get annoyed when they’re forced by bank policies and processes to use additional channels for everyday banking business, whether that’s moving from the bank’s credit card site to the mortgage site, being unable to complete a transaction with a mobile app, or having to pick up the phone to resolve an issue. Don’t make customers switch websites or apps to go from handling their mortgage account to their checking account, for example. Offer a loan application process that touts multiple loan product options and fast decision results, as well as access to other lending products as a benefit of opening a loan. Other offers can include pre-qualified low-rate loans, easy loan management mobile tools, and “Finance 101” educational materials for the customers’ family members and friends, to engage them with other products and services. One example would be to make it easy to share or forward information that could interest another family member, such as a first-time homebuyer offer that a parent would want to send to a son or daughter. Other incentives could include improved rates or waived or reduced fees for opening a second loan or repeat business. Consider that the best time to offer a home equity line of credit option would be to combine it with new mortgage applications where the borrower will have sufficient equity after a large down payment, or a credit-monitoring offer as an add-on when opening a new credit card account. The last thing a satisfied customer wants to do is find another consumer finance company to do business with. They’d rather not do the work OR take the risk that comes with starting a relationship with someone new. So do them a favor and make it easy to stick with you. Hit them with the right products at the right time and you will be rewarded with more loyal customers who are more profitable for the company. Get our free eBook to learn 5 ways to improve your customer experience in Consumer Finance.